Today it’s arch-important to follow the principles of agile software development. In both web and mobile, agile development foundations prove themselves more than capable of coping with complex tasks in a sound fashion. When it comes to mobile development, agile approach usually implies laying much focus on customer participation, coherent planning, constant progress evaluation, risk management, etc. Regular interaction with a client regarding the inner and outer design on their mobile app is also a part of an agile mobile development, which is usually characterized as ‘flexible’. 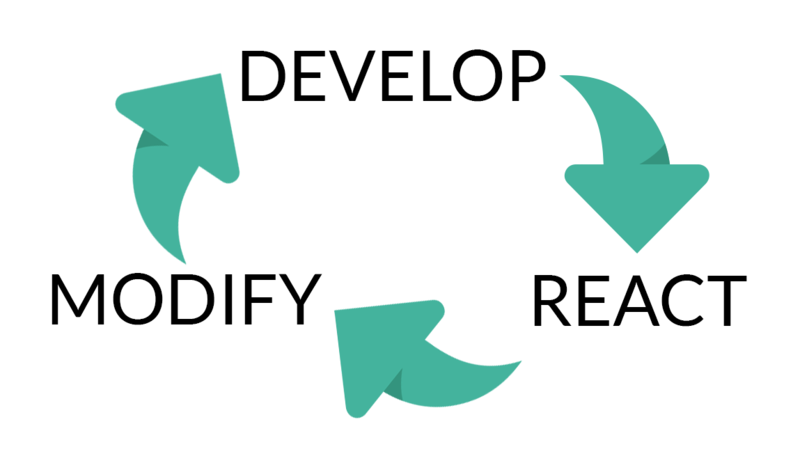 AD (agile development) is aimed to spur quick and easy elaboration on a chosen product. As far as management goes, AD focuses on cutting the entire stack of tasks into small chunks that can be swiftly reassessed and amended at any chosen moment. In the world of mobile, AD is used to make final products adaptable and easily scalable at the maintenance stage after release. In their 2003 book Balancing Agility and Discipline: A Guide for the Perplexed, Barry Boehm, and Richard Turner dwell on 5 action items that are crucial in the framework of mobile dev. Openness to changes and updates. Van Baker also explains that mobile app and desktop development have one major difference. The fact is mobile apps have to be produced in a way to live up to constant updates and deploys, dictated by frequent changes on the market and user preferences. In addition, mobile hardware that is quite limited in comparison to desktops, poses challenges to related software development respectively. With small screens, limited memory stock, butterfingered keyboards, limited battery capacity, lower processing speeds, zero support of some of the technologies (i.e. Adobe Flash) – to tackle all these challenges, a special agile approach to development is needed. How is it possible for a development agency or a multiskilled web-design studio to come up with a scalable, adaptable, relevant, light-weight and low-power smartphone-friendly mobile app fast without losing their marbles? AMD is the solution. Nowadays the trend for AMD conquered the minds of managers and developers from top to bottom. Experts believe agile mobile development enables clients to be in touch with all stages of app production, altogether contributing to the final result. It is believed that with agile development for mobiles seeing milestones of work done is possible every 2-3 weeks without any necessity to wait until a final product is released. Mobile agile development boosts cooperation between developers, designers, managers, clients and users, which results in a better app that can stand the requirement of modern mobile app UX. Given most complaints regarding mobile apps lies in the domain of poor UX and UI, AMD fixes the thing like one, two, and three. Given your mobile app will be used on a great number of devices all with different software and hardware, testing of mobile apps is of tremendous importance. Cooperation between corresponding teams is also crucial. However, there’s one addition to your testing efforts that must be ASAP – user involvement. Have you already tried testing ‘in the wild’ where a new app is tested by the target audience? In such case, real-world insights into actual UX is hands-down invaluable. Together with in-house testing you run, in-the-wild screening will help make the final edition of an app more flawless. Don’t forget that testing never stops even after an app is released on the market. With users’ tastes and demands changing every month, it’s key to collect and analyze this intel within the confines of your app on a daily basis, releasing new updates and functional improvements. In this aspect, mobile app development is truly different from its desktop counterpart.